Day 9 was the last day of the guided tour, in the evening the other nine members of the tour-group and Dynasty Travel guide would be leaving Harbin for Singapore. As for Yat Thong and I we would be staying for three more nights at a place near to Zhong Yang Street. On this final day morning there were two attractions to visit. 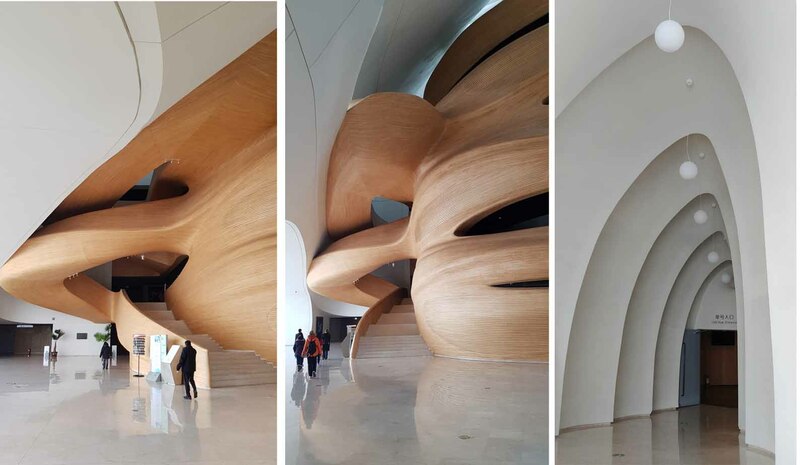 The first was Wanda Mall and the second was Harbin Opera House. 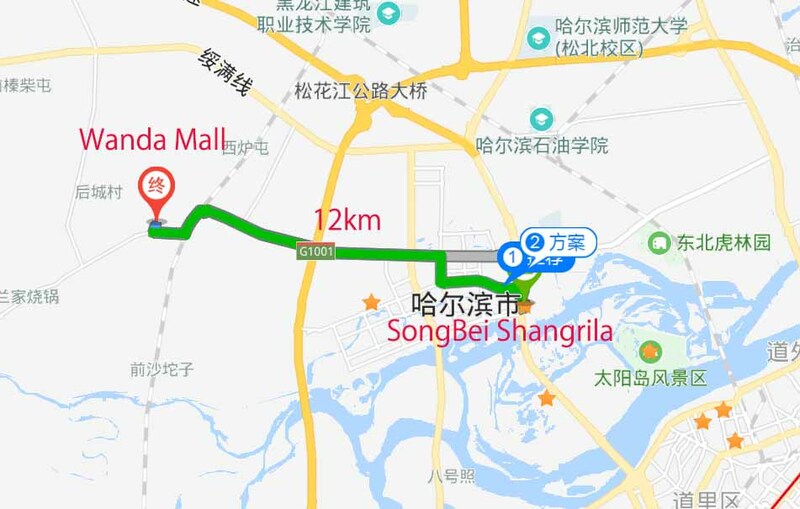 Wanda Mall was a not very far from Shangrila. As our bus approached the mall, we saw amusement park/theme park just beside the mall. It was huge but deserted. 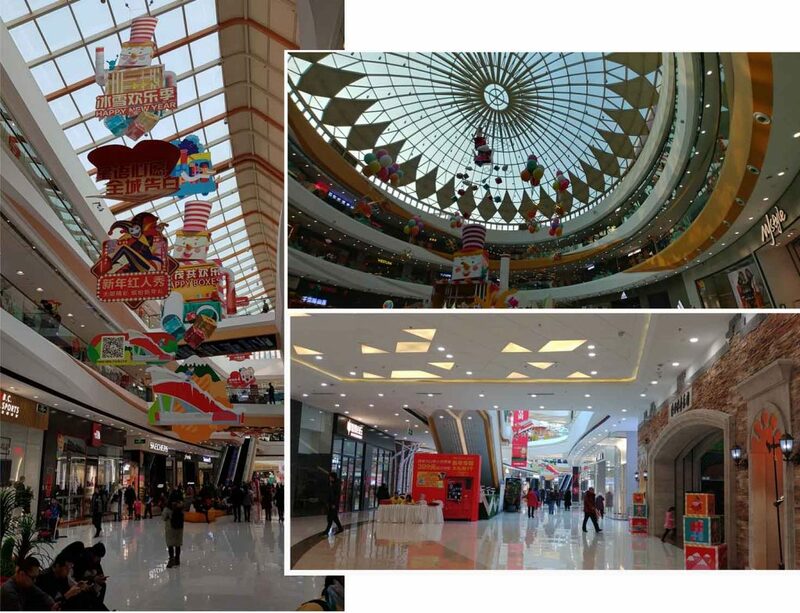 The mall was huge and lovely, it was a modern and looked like a typical shopping mall in Singapore. Yat Thong and I were not much of a shopper, beside the brands were typical international brands so whaterever we could buy here we would be able to get in Singapore. 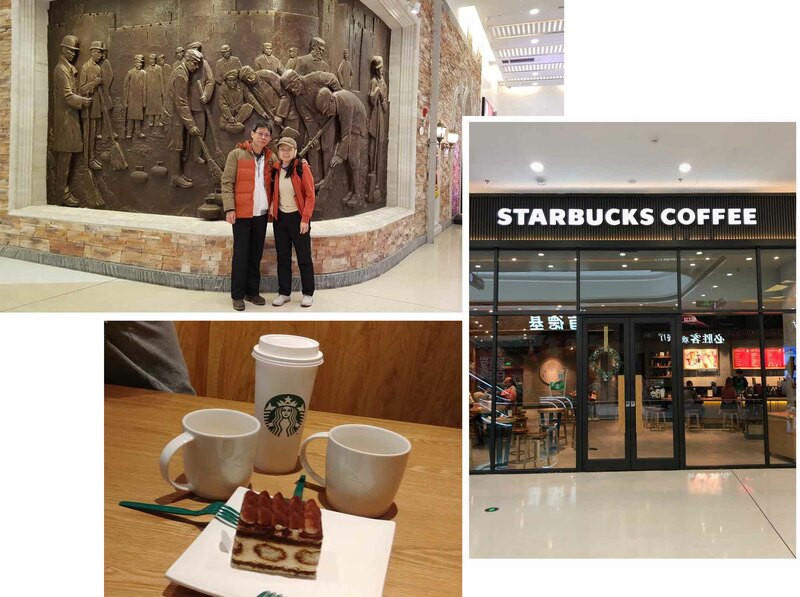 After skimming through the shops and visiting a supermarket we decided to look for a coffee place to pass the time that was when we found Starbuck. We had our cafe latte (venti size) and a cake. We liked our cafe latte without sugar and it contrasted nicely with a sweet tiramisu. The visit to the mall seemed to be a “filler” to take up a couple of hours before our next attraction. The weather was too cold to go outdoor to explore the amusement park. It was only after we left the mall that we knew that there was a huge indoor ski slope in the upper level of the mall! The indoor ski slope completed with chairlifts had six runs and spanned over 80,000 square metres. 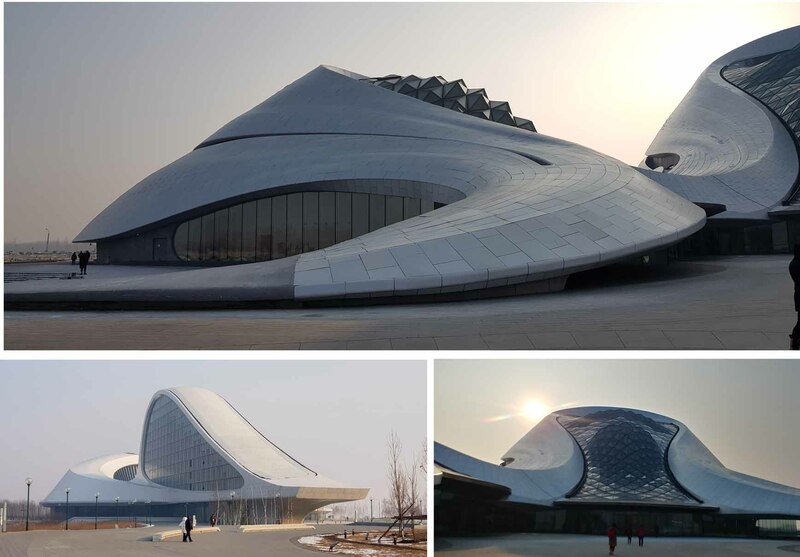 Harbin Opera House like Wanda Mall were located on SongBei side. It was just a mere 8 km east of the mall. This opera house must be special or we would not be visiting it in the morning when there were no opera show going on. The opera house was a very futuristic building. From certain angles it looked like a spaceship. We would love to explore the exterior of the opera house more extensively but the weather was just too cold for us to stay outdoor. 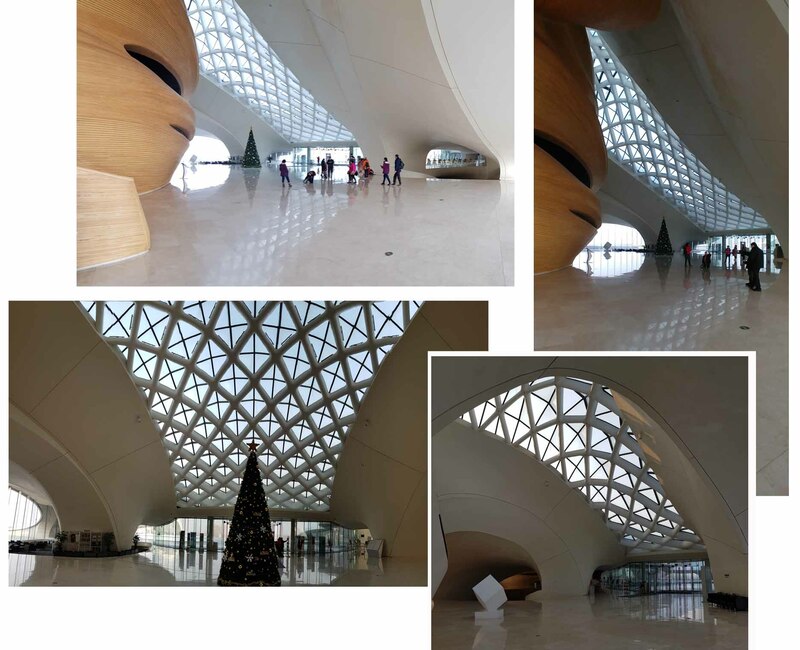 After a few photo shots we quickly hurried into the interior of hte opera house. Harbin Opera House also known as Harbin Grand Theater was a huge white structure with very pleasing lines that started from the ground level all the way up to its roofs. We could already imaging that if this place was covered in thick snow the ground and the white opera house would blend seamlessly. Harbin Opera House was completed in 2015 and spanned 850 000 square feet. 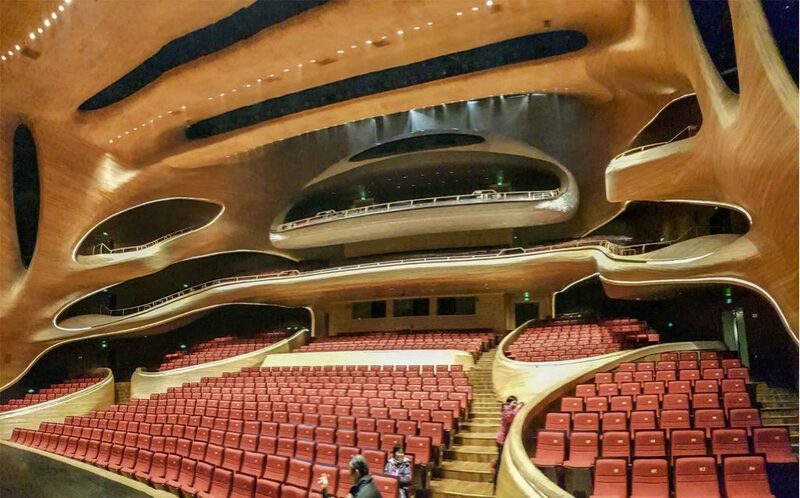 The interior of the opera house was stunning. Skylight streamed down through a glass ceiling supported by white latticework. The interior of the opera house was designed to be brightened up by skylight. Sun light streamed in from the top and sides were reflected on the white polished floor, doubling the brightness of the place. Our visit to the opera house was a guided walk at ¥30 per person. (guided tour was available to at least a group of five). A female staff explained about the awesome “wood” used to panel the wall and highly skill craftmen work put into the wood finishes. Unfortunately the explanation was done in Chinese, a language which we were not very proficient. So we sort of caught the gist of the explanation. Our guide brought us into a huge theater, one that had 1600 seats. The theater walls were also wood paneled but unlike the wood panels on the exterior of the theater, the wood finishes here were highly polished to a golden sheen. 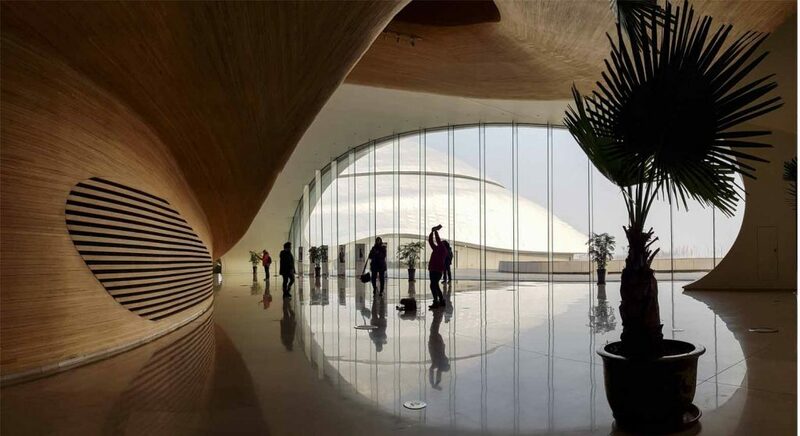 After Harbin Opera House, it was time to say our newly acquainted friends, who we met nine days ago. Yat Thong and I had three more days in Har and hopefully we could catch up with all those Harbin sights that we felt were not allocated sufficient time.